Mouse acceleration is the extra acceleration provided by Operating System for smooth mouse movements with less efforts, but this is a drawback for Gaming as it leads to loose control over the mouse while playing. More acceleration means mouse movements will be high as per your control, so every good or professional counter strike player always disable the mouse acceleration and it is recommended for newbies to play without mouse acceleration and with low sensitivity. 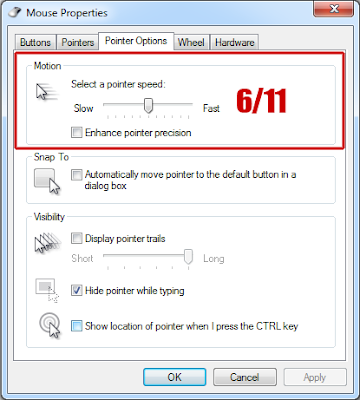 How to disable Mouse acceleration in Windows? Go to “control panel -> mouse -> pointer options”. 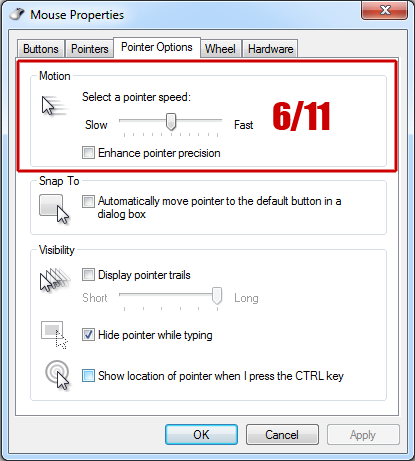 The pointer speed should be at 6/11 – this is the Windows default speed. Enhance pointer precision should NOT be checked on. Going over 6/11 in Windows sensitivity, will result in skipped pixels. At 8/11 two pixels is occasionally skipped and at higher sensitivities, the minimum mouse movement becomes multiple pixels. At lower Windows sensitivities, certain amounts of movement are thrown out, but minimal mouse movements still results in 1 pixel of movement. 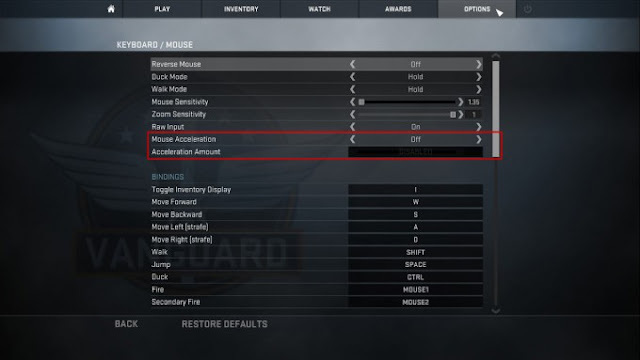 Open your CSGO-->Options-->disable mouse acceleration. 1. Open steam, go to games list, right click on the Counter Strike 1.6 and select properties. 3. Click on ok, and run the game. Just after 1 space (after double quotes) in the target field. does this work for any steam game such as dota 2? i'm also interested whether it works for Dota2?